Girlings Retirement Rentals Ltd is committed to protecting your privacy when you use our services. This Privacy Notice explains how we use information about you and how we protect your privacy. For the purposes of the General Data Protection Regulation (“GDPR”) and UK data protection laws, the data controller is Girlings Retirement Rentals Limited. The person responsible for data protection is Jamie Turnbull and can be contacted at Girlings Retirement Rentals Limited, Glanville House, Frobisher Way, Taunton, TA2 6BB; [email protected]; 01823 346800. ‘Special’ information, including physical or mental health information or criminal history, will only be collected if it is necessary to your contract so that we can provide the right services to you. We may collect personal information by means of paper or electronic forms, telephone, email or post. We will usually collect the information directly from you, e.g. when you complete a tenant Application Form or landlord Terms of Business, or through telephone calls and emails while providing our services to you. We may receive information about you from other data controllers, such as the police who might tell us about a crime they are investigating where this impacts on your contract with us or those who live in the same community. If you give us this information about yourself when communicating with us, you do so because you consider it forms part of a legitimate interest for us to hold this information on our records. We may contact you or send communications to tell you about our existing service to you e.g. service enhancements, government entitlements, or health and safety information. We won’t need your consent to communicate with you this way because we have assessed that it forms part of our agreement with you and it is of mutual interest for us to keep you informed and is relevant to your contract with us. We may send automatic property updates or occasionally information on other products and services we offer and which we think will be of interest to you. We will ask for your consent to communicate this type of information to you and you can remove your consent at any time. If you want to remove your consent, please contact [email protected] or telephone 01823 346800. Alternatively email us at [email protected] or call us on 01823 346800. We may at times need to share this information. We will only do this if we have your consent or if there are legal requirements for us to do so. We won’t ever sell your personal information to anyone else. For the purposes of carrying out property related services, inspections and repairs. Generally, we will only share your name, the property address and your contact details so that they can arrange an appointment with you. In some cases, we may also share customer service information with them, for example where you have told us that you need longer to answer your door. We may also need to share information where we have recorded there is a potential risk to operatives or other representatives. Usually for the purposes of providing services processed by that local authority such as local housing allowance and council tax, or for compliance with landlord licensing schemes. For the purposes of preventing or detecting a crime or fraud. We will only share information with these organisations where we suspect there may be safeguarding or welfare concerns. We will usually try to gain your consent in advance, but we may make a safeguarding referral without consent in situations where we feel there is a significant risk. To ensure utility services and council tax to the property are correctly charged. For the purposes of recovering any outstanding charges, or for preparing or defending a legal claim. We may share your information with shared service functions within the Places for People Group, such as for tenancy enforcement. To help manage the services we provide to you or to comply with the head lease. E.g. we will tell them the name and age of our tenants to evidence compliance with any age restrictions. We will also confirm landlord contact details with them upon completion of any sub-lets. We may share your information with HMRC where required to do so. E.g. informing them of overseas landlords. We will share your information with a government approved Tenancy Deposit Scheme where required by law. We may share any tenant information we hold with their landlord. This includes references, property inspections, correspondence, payment history and any general notes relating to the conduct of a tenancy. We will share the landlord’s name and address with tenant. If we’re worried about your physical safety or feel we need to act to protect you from being harmed in other ways, we’ll discuss this with you and, if possible, get your permission to tell others about your situation before doing so. The risk must be serious before we can override your right to privacy. We may still share your information if we believe the risk to others is serious enough to do so. There may also be rare occasions when the risk to others is so great that we need to share information straight away. Most personal information is stored on computer systems at our head office in the UK. But there may be some occasions as our technology services progress where your information may leave the UK if it’s stored in a system outside of the EU. E.g. internet-based email servers. We will always have additional protections on your information if it leaves the UK and ensure that we have a robust contract in place with that third party to ensure they process your data in compliance with General Data Protection Regulations. We’ll do what we can to make sure we hold records about you in a secure way, and we’ll only make them available to those who have a right to see them. Our security measures include encryption, anonymisation, access controls, staff security training and regular system testing and security patching. There is often a legal or a contractual reason for keeping your personal information for a set period. We will keep your information for the duration of providing a service or product to you under the terms of a contract, such as your tenancy agreement or management contract. When your contract has ended we will keep your personal data for a set time for auditing and reporting purposes and for legitimate interest’s purposes, after that time we will either anonymise or destroy your information. You can ask us for a copy of our retention periods by contacting us at [email protected]or telephone 01823 346800. When you visit one of our websites, (girlings.co.uk, girlingsdiamond.co.uk, girlingsrentalsplus.co.uk) we collect standard internet log information for statistical purposes. Cookies help us to improve our site and to deliver a better, more personalised service. Our websites contain links to third-party websites. We are not responsible for the content or privacy practices of any external websites that are linked from our sites. 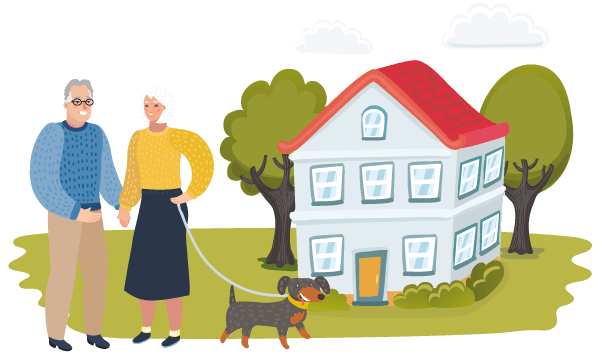 Girlings Retirement Rentals Ltd and Places for People Group takes responsibility to protect the personal information we hold about those with whom we work seriously. If you have any questions about how your personal information is handled, please contact our Data Protection Lead at [email protected]. Tel: 01625 545 745lternatively, visit ico.org.uk or email [email protected].